Hi! 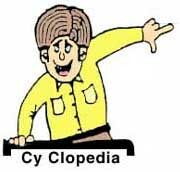 I am Cy Clopedia, a faculty member at Vocabulary UniversityÂ® . In the following CONCENTRATION word puzzles, study the Latin root and word relationships. In other CONCENTRATION word puzzles you need to match only the puzzle word and its definition. Sorry no puzzle available currently. A puzzle will be posted here in future.